To view and book offers for Borgata Hotel Casino & Spa in Atlantic City, click here. First time using M life Rewards online? 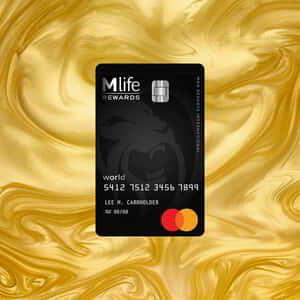 If so, you'll need to activate your account to enjoy all the features and benefits M life Rewards has to offer. Stay, sip and dine to enjoy a $20 food and beverage credit when you book by April 30. 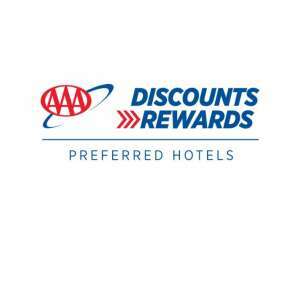 Members get up to an extra 20% off our lowest rates. Best room rates guaranteed. 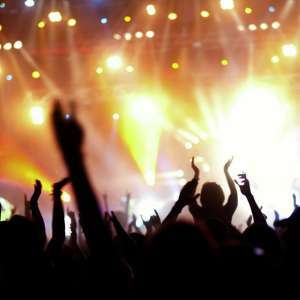 Explore upcoming events in Las Vegas with this entertainment calendar. Sorry, no matches for your filter selections. Sign in to M life Rewards and unlock your VIP access to special room rates and offers. Tap here to sign in to M life Rewards and unlock your VIP access to special room rates and offers. Unfortunately, no seats are available. Please select another time or call 702-262-4525. Blue Man Group will rock your world. Blow your mind. And unleash your spirit. Leave your expectations at the door and let three bald and blue men take you on a spectacular journey filled with music, laughter and surprises. Earn M life Rewards Faster. Celebrating 19 successful years on The Strip, FANTASY has shaped into one of Las Vegas' leading shows. 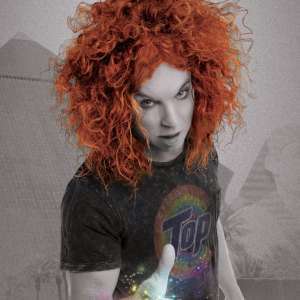 Luxor Las Vegas Hotel and Casino features Carrot Top, "Best Male Stand-Up Comedian! The award-winning comedy of Scott "Carrot Top" Thompson, also titled "Entertainer of the Year!" and "Comedian of the Year," keeps his audience in stitches. 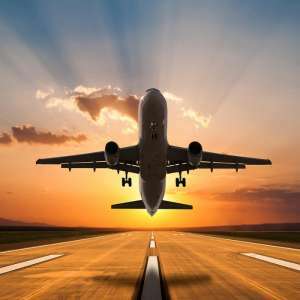 Save more when you book your flight and hotel together! 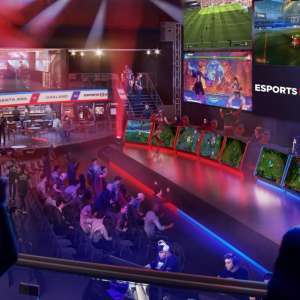 HyperX Esports Arena Las Vegas is the ultimate competition gaming and entertainment experience to the Strip! 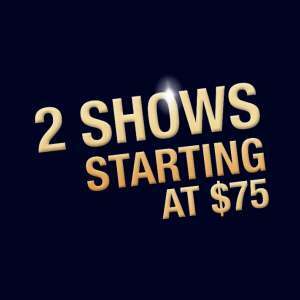 See two Shows starting at $75* per person (that’s $37.50 per ticket). 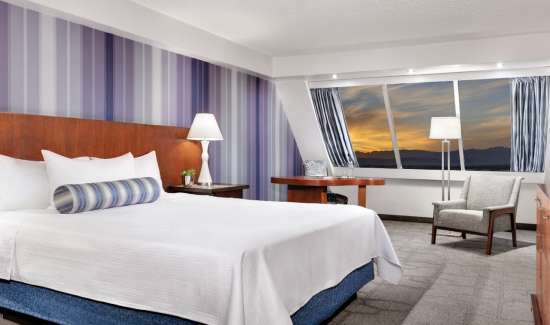 Book with us now and receive an additional 10% off room rates. Newly remodeled, this stylishly functional room is our most efficient footprint yet. The room was made to feel more natural with both functional and accent lighting and art that consist of images of the Mojave Desert. 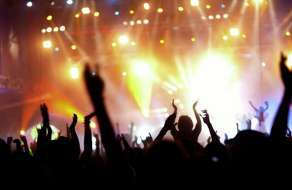 Active, retired military & their spouses receive special discounts on rooms, restaurants, shows & parking. 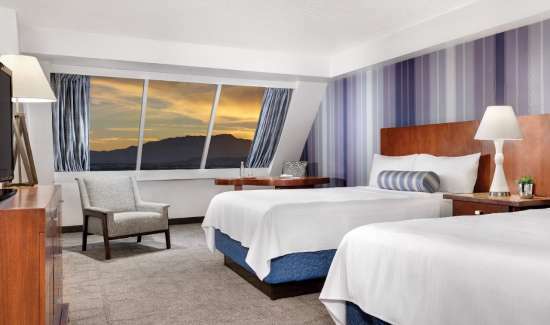 Enjoy your stay atop of the Luxor's Pyramid in our recently refreshed Pyramid Premium Queen Room. 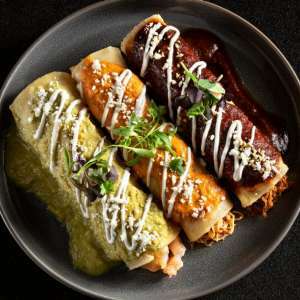 Diablos unleashes its unique brand of south-of-the-border dining, drinking (and a little decadence) only at Luxor. Choose from an array of soothing massages, signature facials and body treatments. Soak up all of the benefits our spa has to offer, including the eucalyptus steam bath, dry sauna and whirlpools. TENDER offers one of the most impressive selections of dry- and wet-aged steaks you'll ever experience. The popular East Coast hangout, Public House, opened its first West Coast location right here at Luxor. 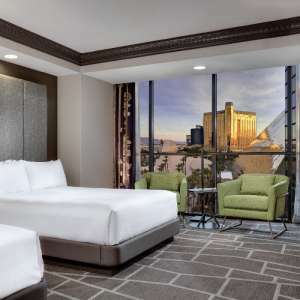 Enjoy your stay atop of the Luxor's Pyramid in our recently refreshed Pyramid Premium King Room. 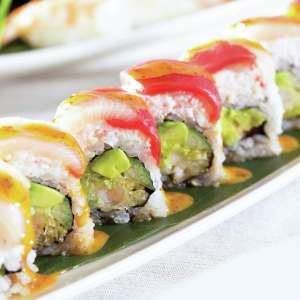 Rice & Company features fresh, tasty and healthy Asian Cuisines in Las Vegas. Travel back in time and experience the wonder and tragedy of the world's most famous ocean-liner, Titanic. 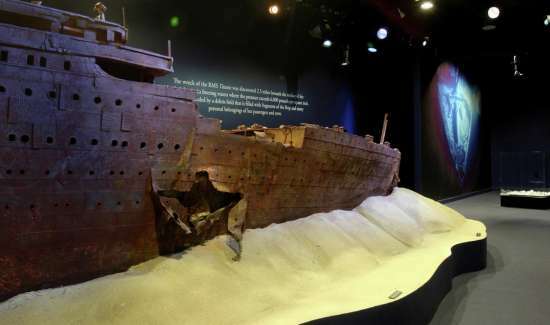 Over 250 authentic artifacts recovered from the wreck site of Titanic make this an educational and entertaining experience perfect for all ages. 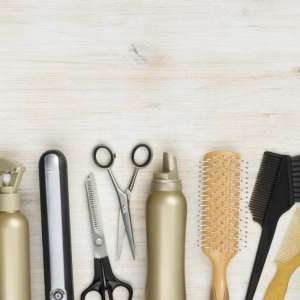 Choose from an array of professional hair, nail and makeup services. 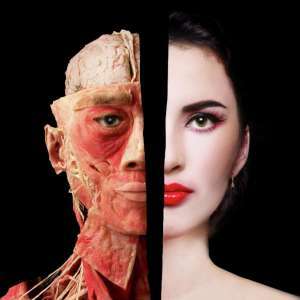 Nurture Salon also offers advanced beauty and makeup application treatments to complete your look for your night out. GET TO THE FUN. FASTER. Download the MGM Resorts App to access digital key, mobile check-in and more. 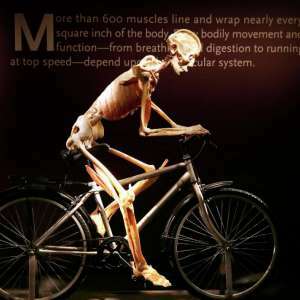 The Exhibition showcases real full-bodies and organs, providing a detailed, three-dimensional vision of the human form rarely seen outside of an anatomy lab. 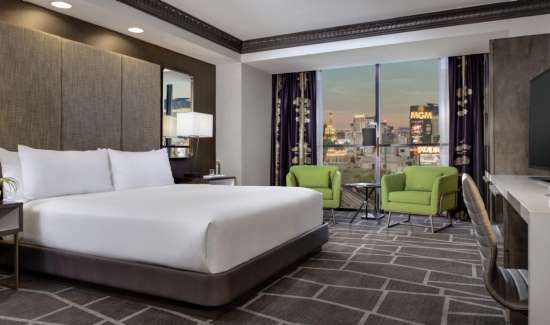 Explore 3 exciting MGM Resorts International attractions for only $57! 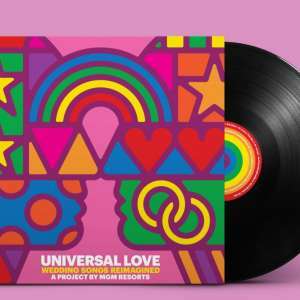 Love is universal. Shouldn’t love songs be too? 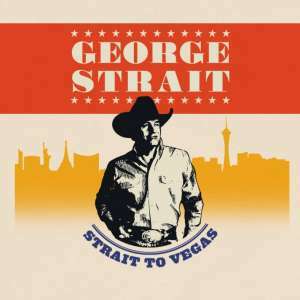 The King of Country returns to T-Mobile Arena! Live performances at Park Theater at Park MGM Las Vegas. Get tickets starting from $49 for select performances. No matter what the occasion, the Luxor Las Vegas event planning staff will help make your event a success. 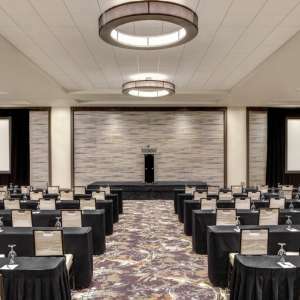 After we’ve exceeded your expectations with our convention capabilities, your only remaining task is to enjoy all the other amenities at the Luxor. 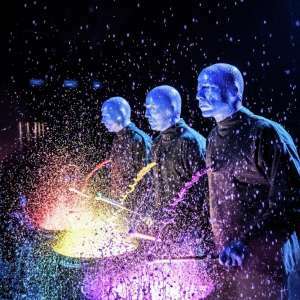 The Blue Man Group show combines new instruments, music, video and lighting with iconic Blue Man vignettes in a theater built to bring the action closer than ever before. Iconic new sports and entertainment venue that will bring un-carrier style to the Las Vegas Strip. 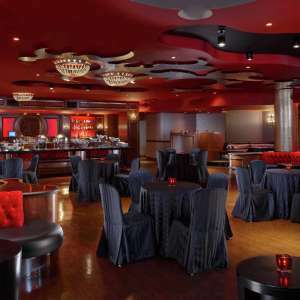 The Buffet at Luxor is a casual Las Vegas dining experience that is sure to fill your hunger. 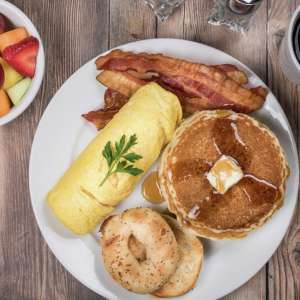 The Buffet features a massive 30-foot salad bar, homemade pizza station, delectable carving station, a tasty omelet station, and specialties from around the world. No matter what the occasion, our event planning team will make your event a success. Our highly trained staff takes pride in personalizing décor and service, making your special occasion our top priority. This oasis features four large sections of pool area totaling 19,000 square feet. Register with our attendants for complimentary towels, lounge chairs and enjoy the personal service of our poolside beverage attendants. 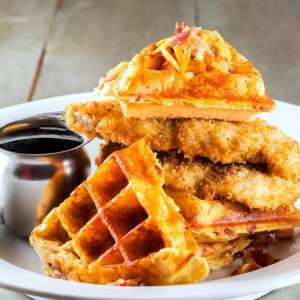 For a great beginning to your day, try our Chicken & Waffles, Pyramid Stacks or the French Toast Sticks! This bar features unique lighting effects across the ceiling based off the Aurora Borealis or Northern lights. 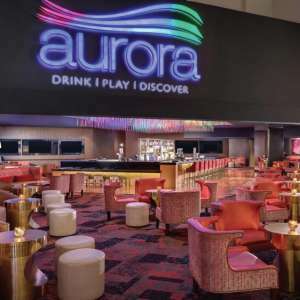 Aurora creates a welcoming atmosphere where guests can enjoy specialty drinks while playing their favorite bar top games. The comfortable furniture and high energy make Flight bar a great place to party. Modern Cocktails, Specialty Beer, and creative beverage presentations make this experience memorable. 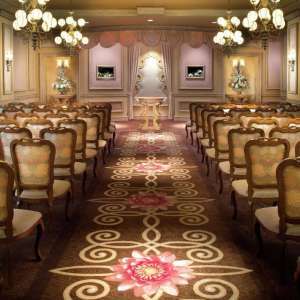 Let us create your unforgettable Las Vegas Wedding, Commitment Ceremony or Vow Renewal. Whether you envision a classic intimate ceremony or a more extravagant event, the Luxor will create the wedding day you've always dreamed of. 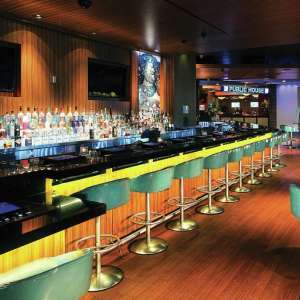 This centrally located social scene is an exotic yet welcoming escape surrounded by all the casino action. 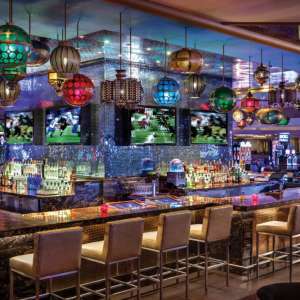 Centra is a great place to enjoy casual Las Vegas style with a drink in hand and playing your favorite poker and video slot games at the bar. Whether you want a quick snack or a meal fit for a Pharaoh, we have the solution for you. We are here to provide you with an unsurpassed level of service. We are skilled in recommending special gift ideas, booking golf tee times, dining, tour or show reservations & much more to ensure the most memorable experiences. 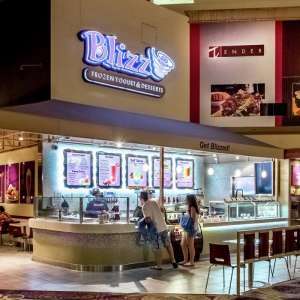 For a quick snack or beverage, the Food Court offers a wide selection of Luxor restaurants. 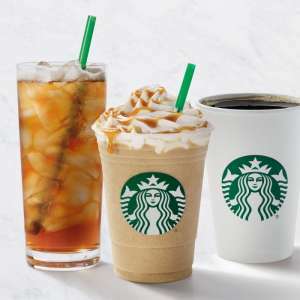 Starbucks offers handcrafted beverages, premium teas and delectable treats. Artfully roasted high-quality arabica coffee is brewed and served one cup at a time. Treat yourself! Blizz offers a variety of non-fat frozen yogurt flavors with all your favorite toppings. Have it with granola or cereal for breakfast, fruits or nuts for a power-punched lunch, or mix and match for an all-day Blizzfully delicious dessert. 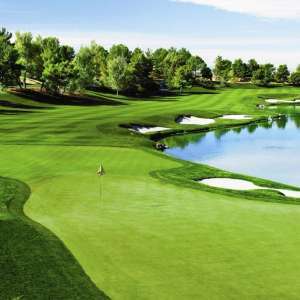 Just minutes away from the Las Vegas strip, every course is uniquely challenging and unforgettably scenic. Just minutes away from the Las Vegas strip, every course is uniquely challenging and unforgettably scenic. Reserve your tee time today. Pool season has begun! 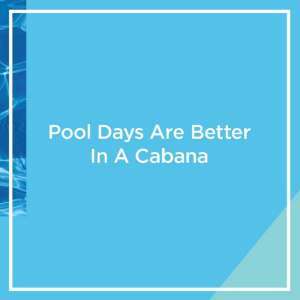 Reserve a cabana now at any of our 12 Resorts.